Meet Ann Douglas on March 7th in Etobicoke! The Parent Education Network would like to invite you to a very special event on March 7th, 2015. 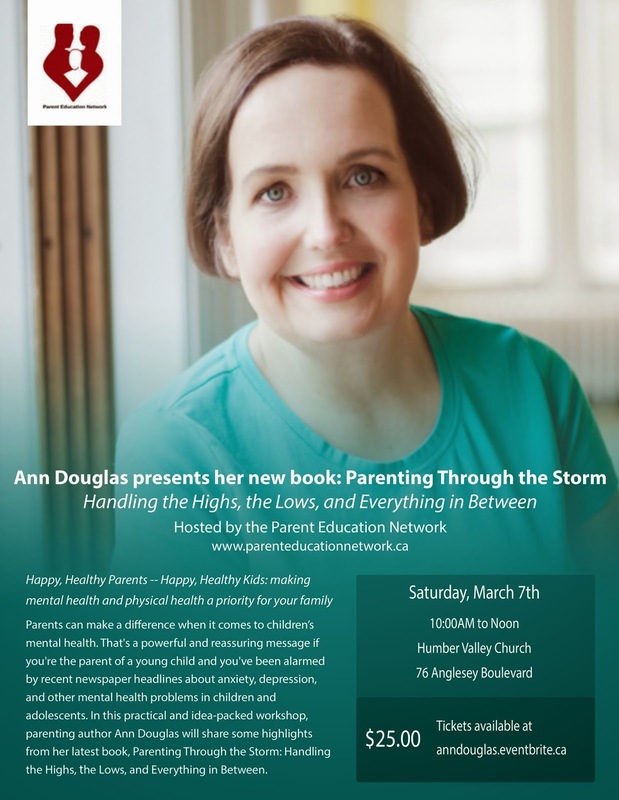 Come and meet parenting guru and author Ann Douglas who will present her beautiful new book, Parenting Through the Storm, a book about her experiences parenting children with mental health challenges. Ann will speak for about an hour and then will take questions from the audience. Space is extremely limited and tickets are going fast so register today by clicking here.